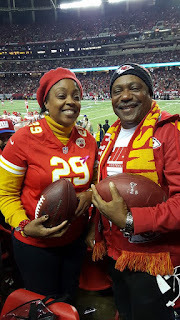 After Eric Berry has scored on a pick-6 right before halftime, he knew exactly what to do with the ball , he went over to the stands, where he handed the ball to his mother in the second row. 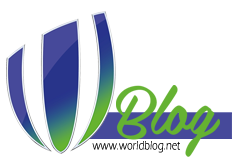 His score was the third pick and second touchdown in 2016, giving him 13 interceptions and five touchdowns in his seven-year career. He did so in Atlanta, which is not only his hometown but also where he was treated for leukemia. 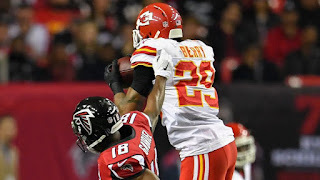 Eric Berry is an American football safety who currently plays for the Kansas City Chiefs. He attended The University of Tennessee. The 27-year-old strong safety will look to continue his stellar play in Thursday's tilt against the Raiders. No Comment to " Eric berry celebrates homecoming his spectacular pick-six with mother in stands "